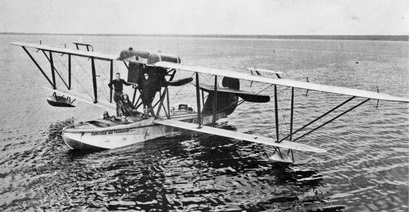 Similar in configuration to the Curtiss HS series, the AMC (Aeromarine Metal Commercial) was an effort to introduce a civil flying boat of conventional two-bay biplane design that possessed a more modern airframe, most notably an all-duraluminium hull and a dural-framed empennage. The 1923 AMC was built with spruce I-beam spars and ribs, dural-framed empennage; fabric-covered wings and tail; all-duraluminum hull. 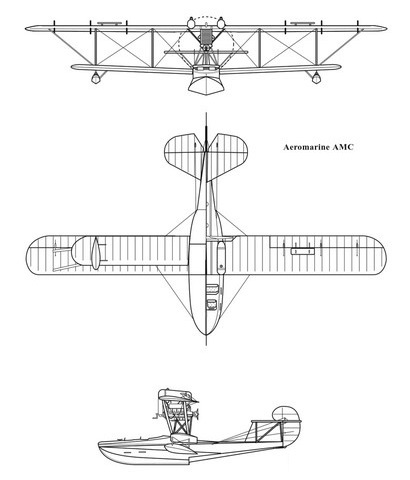 The AMC was designed to replace the 75s of Aeromarine Airways and first flew on 1 June 1923. The AMC flew for the first time in June 1923 and soon afterwards commenced a trial route between New York and San Juan, Puerto Rico, however, Aeromarine and its airline subsidary ceased operations in late 1923, and no more AMCs were completed. The Morro Castle II can be recognized by its shorter lower wings. Aeromarine AMC in Canadian registration after being sold to Fairchild Air Transport. While not a commercial success, the AMC did establish a new standard for flying boats with more durable metal hulls.